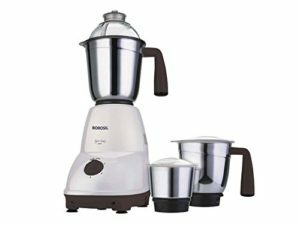 Amazon is here with a great deal offering Borosil Super Smart 550-Watt Mixer Grinder (White) at Rs 2649Specially designed keeping your needs in mind, the mixer grinder makes whatever you’re doing simpler, smarter and better. Grab it Now..!! How to Buy Borosil Super Smart 550-Watt Mixer Grinder?